KITCHENER — A DaCapo Chamber Choir concert is always a transcendent experience, largely because the music is chosen to convey an idea, create a specific mood. This weekend, the mood will be pretty much the same as what Canadians have been feeling as we fight that long journey through the bleakness of winter, hoping that spring will eventually appear. Journey Into Night is the second in a three-concert series where the music was chosen to mirror the seasons starting with Evening Song last November and wrapping up in May. Fall is reflective, spring is awakening and winter is the challenging time of the year, reflected in Enns’ musical choices. The cold of the snow to the warmth of the heart, the evening will start with R. Murray Schafer’s Snowforms, followed by Bruce Sled’s Ice and Alfred Whitehead’s At the Mid-Hour of Night. Snowforms has an almost eerie sense to it, using vocal vibration technique that is part humming, part chanting and deeply challenging for the singers who must have exact control. It is both beautiful and cool, much like snow. Ice is similar in concept, using undulating voices to convey the idea of a cold, icebound lake in the early stages of spring breakup. Sled is a young Canadian composer with some interesting ideas, and a glance at the musical score shows few words to this piece and a lot of wavy black lines across the score indicating singers must use their voice like a slightly off-kilter siren. It is a unique sound and rather spellbinding. The concert will also feature music from American composer Eric Whitacre, who is very much the adored rock star of the choral world.When David Heard is as haunting as the other musical choices in the concert, yet there is also a melancholy here. Interestingly, Srul Irving Glick’s Yiddish Suite fits in perfectly with all this snow and ice. Glick, who died in 2002, was one of Canada’s most prolific composers. The piece has a soothing melody, slightly sad, yet there is such beauty in the notes it seems to provide a sense of peace, perfect when the outside temperatures are raw and unforgiving. “It’s so taxing (to sing), physically, musically, emotionally,” Enns said. Journey Through Night will also feature Enns’ own composition, Nocturne nominated in 2010 for a Juno Award for Classical Composition of the Year, with text from Shakespeare’s Merchant of Venice. “It paints the beauty of the night,” he said. 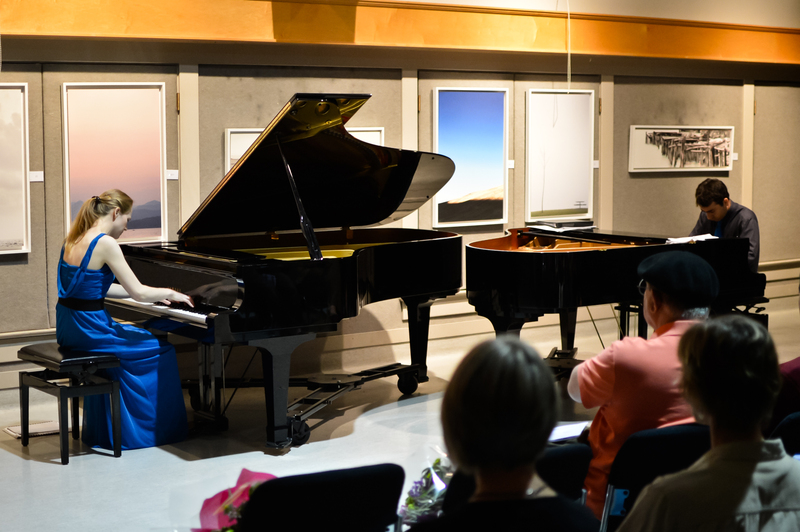 Enns has always celebrated the multicultural voices that combine to create Canada’s unique music scene, and few can match Iranian-born pianist/composer Iman Habibi. The Vancouver-based pianist/composer’s piece Black Riders is a stellar example. Habibi won first prize in 2009 in the Guelph Chamber Choir’s national competition for the energetic Black Riders, which is based on an 1895 poem by Stephen Crane. The music depicts wild riders emerging from the sea with swords clanging against the rush of the wind. The music has hints of the exotic East yet it also has its own very Canadian voice. Winding up the concert will be Sheldon Rose’s Song of Invocation, which won DaCapo’s NewWorks choral composition competition in 2012. Described as reflective and spiritual, Song of Invocation flows into the final piece of music for the evening, Alan Raines’ arrangement of Richard Strauss beautiful song, Morgen!, which is German for morning. Perhaps then morning, and so too spring, is about to arrive.